Fresh home-made creamy thick custard with flaky buttery pastry… who could resist? I doubt many people at all (except perhaps my brother). Even people who wouldn’t normally like custard, probably because they’ve only had the runny bought custard, love these tarts. 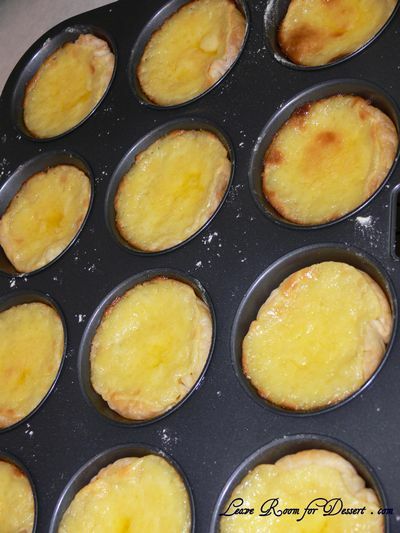 I was only recently introduced to Portuguese custard tarts, first at work and then I decided to make my own as there aren’t any places near my house or work that sell them. I’ve tried a few variations, including the one from “Sweet Food” which I made the pastry and custard from scratch. Unfortunately the pastry turned out too crunchy and not as crispy and flaky as I would have liked and the custard was a bit too sweet. 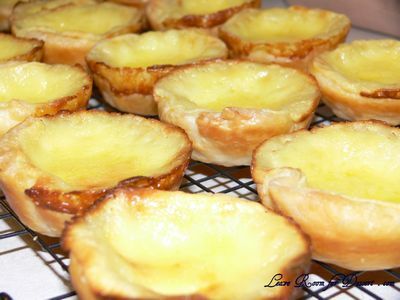 I searched and searched for a reasonable recipe for pastry with Portuguese custard tarts, although most recipes use store-bought puff pastry and in the end this worked out best. 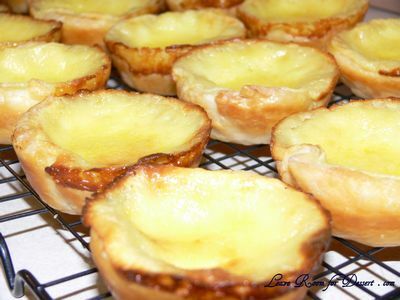 I made some of Bill Grangers Portuguese Custard Tarts for my Kitchen Tea a while ago and many of the guests liked them. So I have stuck with this recipe. They are tasty both warm out of the oven and cooled down. This recipe is adapted from the UKTV site with the recipe from Bill Granger. 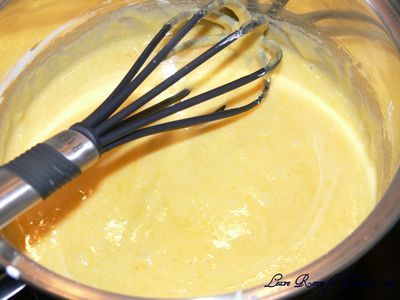 Put the egg yolks, sugar and cornflour in a saucepan and whisk together. 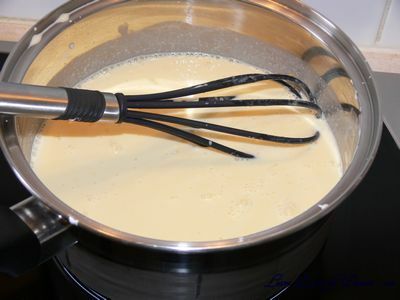 Gradually whisk in the cream and milk until smooth. Place the pan over medium heat and cook, stirring, until the mixture thickens and comes to the boil. Remove from the heat and stir in the vanilla extract. 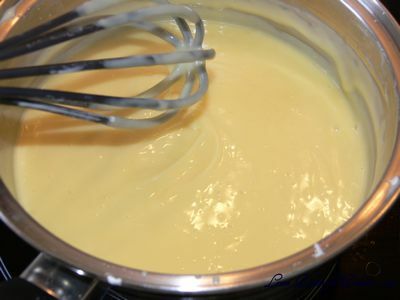 Transfer the custard to a bowl, cover the surface with plastic wrap to prevent a skin forming and leave to cool. Preheat the oven to 190ºC/375F/Gas 5. Lightly grease one or two 12-hole (80ml/2½fl oz) muffin tins. Cut the pastry sheet in half, put one half on top of the other and set aside for five minutes. 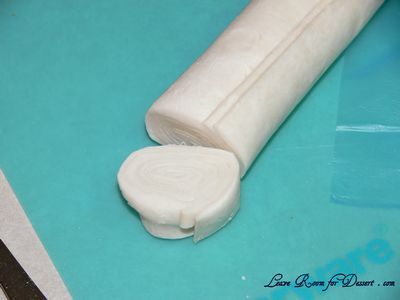 Roll up the pastry tightly from the shorter-sided end and cut the pastry log into twelve 1cm/½in rounds. Lay each pastry round on a lightly floured surface and use a rolling pin to roll out until each is 10cm/4in in diameter. Press the pastry rounds into the holes in the muffin tin. 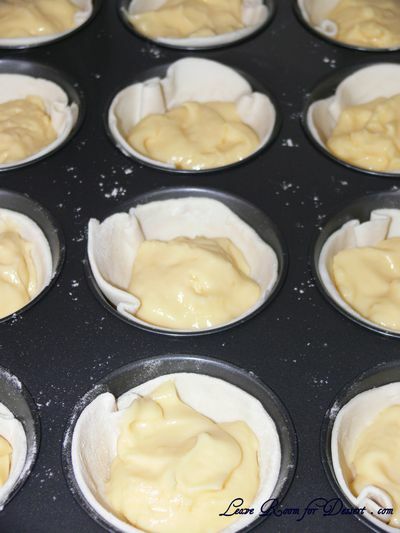 Spoon the cooled custard into the pastry cases and bake for 20-30 minutes, or until the pastry and custard are golden. Leave the tarts in the tin for five minutes, then transfer to a wire rack to cool completely. 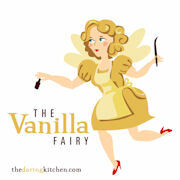 Filed under Cakes, Slices and Biscuits, Dessert, Egg Yolks, High Tea, Party Food, Recipes. You can follow any responses to this entry through the RSS 2.0 feed. You can leave a response, or trackback from your own site. I’m sure the homemade custard would be great either way, definitely more healthy your way and I think I’m just greedy with my pastry 🙂 . Ok, I can’t resist! These look super delicious. I think store bought pastry sheets are just fine, sometimes it makes things easier. In any case, these little tarts are just pop-in-your-mouth perfect! 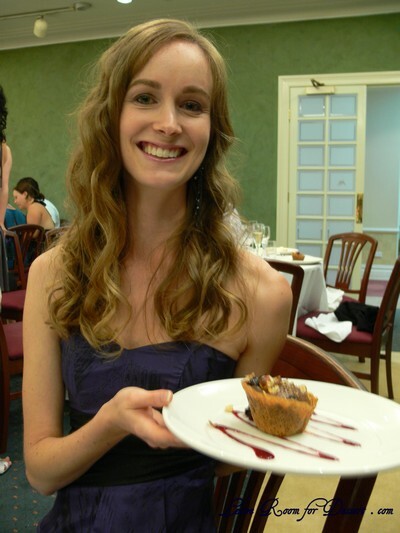 I can attest to the tastiness of these tarts. I was obsessed with them at your kitchen tea Anita. You’re right that home made custard is so much better than the carton stuff. These look gorgeous! Those look awesome! I’ve totally bookmarked the recipe to try soon! Hi anita, im just wondering where can i buy “pastry sheet”? i tried checking coles and i cant find any. hope you can help me. I would like to try this tart too 🙂 thanks a lot! The pastry used in this recipe is just puff pastry – it can be found in the freezer section, sold in 6 sheet packets. My daughter (14) & I enjoy cooking together (she cooks..I clean) she is adamant that we must follow a recipe to a T – which we did & these turned out absolutely perfect! Thanks. No problems with the custard or pastry (puff) – fun to make! I’m now in trouble ’cause I’ve knocked off 3 of them while she is outside on the scooter…OOOPs! Hi there, i made these tonight from your recipie, added a teaspoon of coconut oil and they were delicious! Not too rich or eggy, i did use probably too much pastry but they worked really well! I made these for a neighbourhood Christmas party on the weekend and they were just divine! I made them as instructed and they really were every bit as delicious as the ones sold in my local patisserie for $3 each! I made an orange caramel (juice of one orange, 4Tbs brown sugar, reduce over a high heat for 10 mins) and spooned over the top and left to set – gave the tarts a real lift and complimented the flavour of the custard tremendously well. The only thing I would advise is to not over-fill the cases with too much custard, which rises during the oven cooking and did overflow in a couple of tarts. Won’t ever buy these again now that I know how easy they are to make.